Save 20% on all edible cookie dough bars online. Use promo code BARLIFE20 at checkout. Naked Dough Pint: A perfect blend of sweet cream butter, brown sugar, and vanilla flavoring for that rich, homemade taste. Pure, simple cookie dough joy with no added distractions. Sprinkle with cinnamon & sugar & create the perfect snickerdoodle dough! Purchase products directly from our online store. Shipping to the contiguous 48 states. All online orders are final and non-refundable. 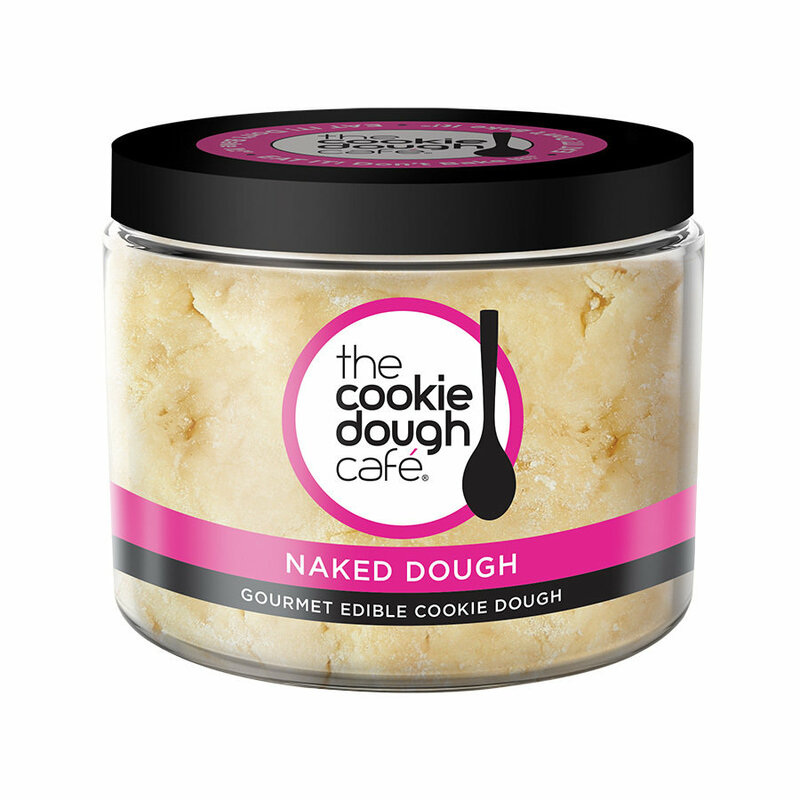 Because our cookie dough is perishable, we are unable to offer returns or exchanges. We do not offer refunds/exchanges based on customer flavor preference. We are unable to change ship to addresses once orders have been placed. You will receive an order confirmation shortly after placing your order and will receive a shipping confirmation and tracking number once the order has shipped. All online orders are shipped FedEx and contain either ice packs and/or dry ice. Your cookie dough will arrive chilled and should be placed in the refrigerator or freezer immediately. Most orders are shipped Mondays & Tuesdays. All of our items are perishable; therefore, if packages will not deliver by Friday, they will ship the following week. Orders are not shipped out same day. If the shipment will not arrive by Friday, it will ship the following Monday. Please do not ship to an address that requires a signature. Please keep in mind National Holidays will often change transit times. You can refrigerate your cookie dough for up to 20 weeks. You can freeze your cookie dough for up to 12 months. If you are wanting to place a large online order please fill out our contact us form and we will respond within 24 hours. Most orders are shipped Mondays & Tuesdays. All of our items are perishable; therefore, if packages will not deliver by Friday, they will ship the following week. Orders are not shipped out same day. If the shipment will not arrive by Friday, it will ship the following Monday. Please see FAQ’s for more information. Jet.com sells our gourmet edible cookie dough and currently ships to the following US states: WV, VA, NJ, NY, PA, CT, MA, DC, DE, MD. Additional states are being added, so if you don’t see your state, check back soon. Order directly from Jet.com.